The Flowering Plum shrub will have burgundy leaves. The delicate, sweet scent of the flowering Plum tree adds a delightful fragrance to the garden. Pause for a moment and take a deep breath. Such moments in the garden should be cherished. Just a few tulips are blooming--all are red. The calendar says April. The weather does not. In our area April 15 is considered the last average frost date. After that date, spring planting begins in earnest and tender plants are moved outdoors. Not this year. Fresh, warm muffins make a meal marvelous. Are you serving leftovers? Somebody's least favorite meal? Scrambled eggs three days in a row? It's okay. 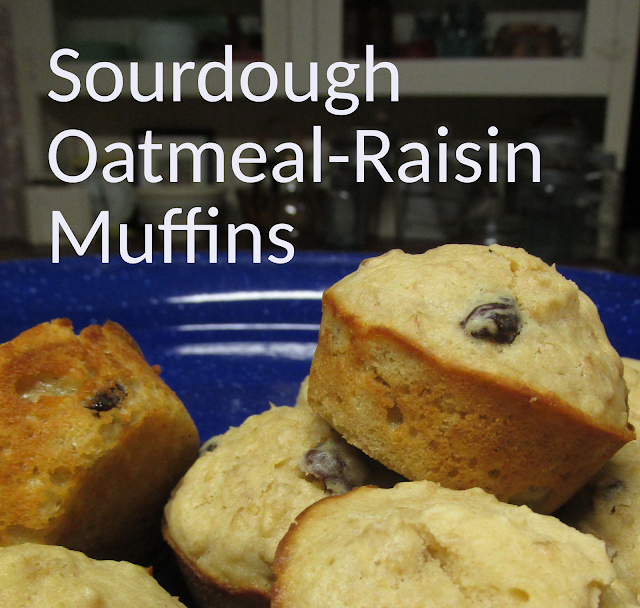 If you're serving fresh homemade muffins you'll still have a satisfying meal. Short of time? It can still work. With Homemade Quick Mix in your refrigerator or freezer you can mix together muffins in about 5 minutes, maybe less, and have them on the table in less than 15 minutes. This Homemade Quick Mix is a meal changer. I first learned about Homemade Quick Mix when my mother-in-law gave me a paperback cookbook, Quick Breads, years ago when my boys were young. (Alas, the book has not withstood the test of time and is now in sections with the page with the authors' names forever missing.) It saved many a miserable meal. On busy days when the hunger whine began before I had figured out the evening meal I often quickly stirred up a batch of muffins. Soon the soothing scent of baking bread wafted through the room giving hope of food to come and a bit of peace. There's a lot to like about Homemade Quick Mix. Here are a few reasons why you too may want to keep Homemade Quick Mix in your refrigerator or freezer. A bowl and a spoon is enough. Not much equipment is necessary. A bowl and a sturdy spoon is all you really need. They taste good! Nothing beats fresh bread. They are definitely best warm so make only what you need. Easily adapted--add fruit, nuts, cheese, etc. for added flavor or nutrition. They are forgiving. Too dry? Add more liquid. Added too much liquid? Probably still okay. Go ahead and bake it anyway. Great for beginner bakers or children to make. You can hardly go wrong. The only thing to watch is over-mixing which can make quick breads a bit tough and cause tunnels. Even if they are over-mixed, they would still taste good. They are soft. This is especially good for young children who may find some of the chewy and tough foods we given them difficult to handle. Compared with cookies and cake, they are usually lower in fat and often contain healthy additions. In addition to muffins Homemade Quick Mix can be used to make biscuits and scones. Recipes will be on future posts. I use baking powder without aluminum purchased at the Bulk Store. Place 3 cups of flour in a bowl. Add baking powder and salt. Using a mixer or pastry blend, cut butter into flour mixture. Add remaining flour. Mix well. Store in a plastic container or bag in the refrigerator or freezer. Use within two months (refrigerator) to four months (freezer). Homemade Quick Mix has a cornmeal-like texture. An alternative mixing method: Freeze butter. Mix together flour, baking powder and salt. Using a shredder, shred butter into the flour mixture. Stop occasionally and stir together so the butter doesn't clump. Add 1/2 cup powdered buttermilk and 1/2 teaspoon baking soda. Mix only until all ingredients are moistened. Preheat oven to 350F degrees. In a bowl mix together mix and sugar. Stir in optional ingredients if desired. In a measuring cup place milk and egg. Whisk together. Add liquid to dry ingredients. Using a wooden spoon mix together only until all ingredients are moistened. Fill greased or paper lined muffin tins 2/3 full. Bake for 15 minutes or until lightly brown. Makes 9-10 muffins. For Sweet Muffins--1 cup blueberries, rinsed and dried or 1/2 cup shredded apple and 1/2 teaspoon cinnamon or 1/2 cup bite sized pieces of dried fruit, your choice including my favorite, dates and 1/4 cup nuts, if desired. Grape hyacinth are encased in ice. Spring took a little break this week. The temperature dropped. The lightning flashed, the thunder rolled and icy rain fell. It was awful in both senses of the word. The damage! The beauty! In April! Yes, the daffodils are still blooming. Cooler weather prolongs the bloom time. 2013. Watermark theme. Powered by Blogger.